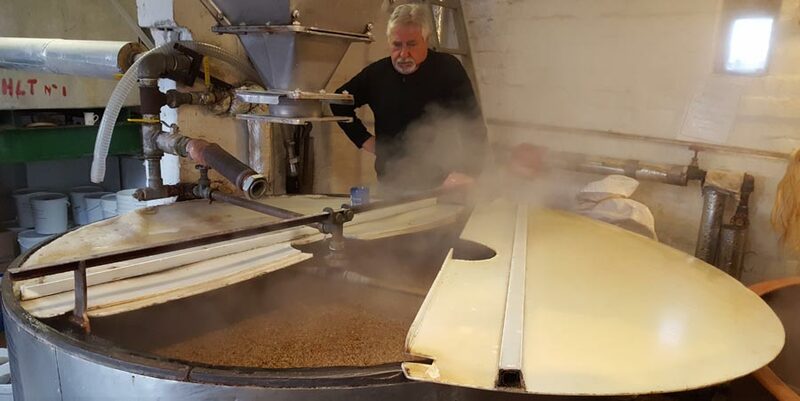 To make beer, malted barley is ground to form grist and then mixed with hot water (called “liquor” in brewing terminology) to form a mash. 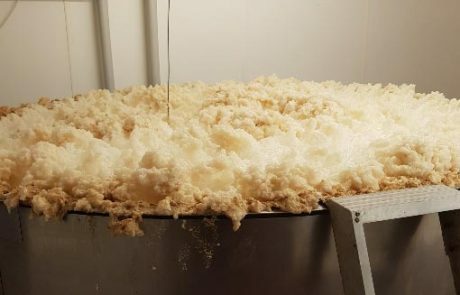 The natural sugars dissolve out of the grist and the liquid (now called “wort”) is run off into a copper, where it is boiled with hops which give the beer its characteristic bitter taste. 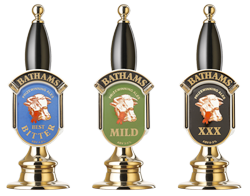 Please click here to discover all about our many awards for brewing. 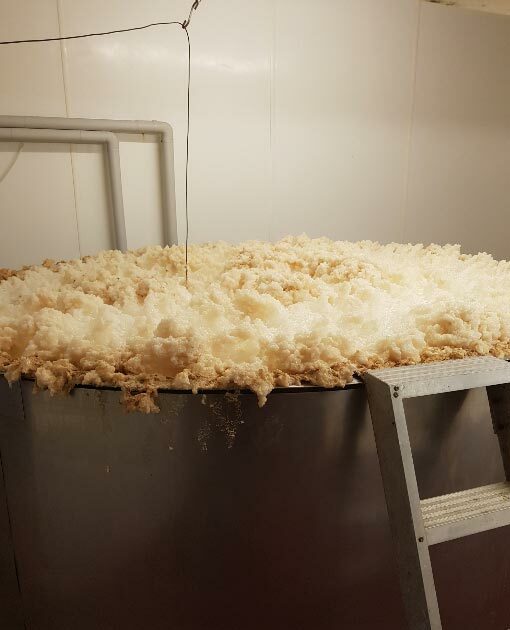 The wort is now transferred to the fermentation vessel and the brewery’s own unique strain of yeast is added. This fermentation process, lasting about five days, converts the sugar to alcohol and carbon dioxide. 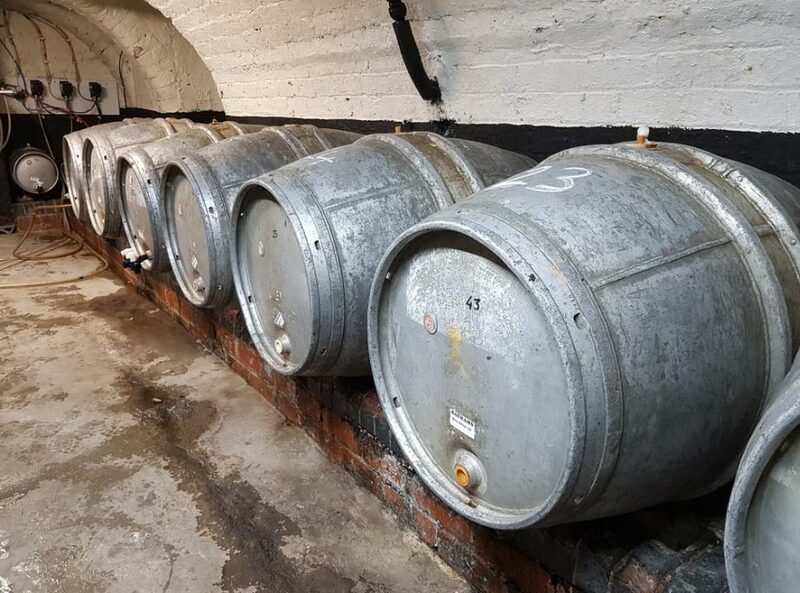 At the end of fermentation, real (cask-conditioned) beer is allowed to mature in conditioning tanks for a few days before being racked into casks, often with the addition of a handful of hops to increase the aroma and flavour, and sugar to encourage a strong secondary fermentation. 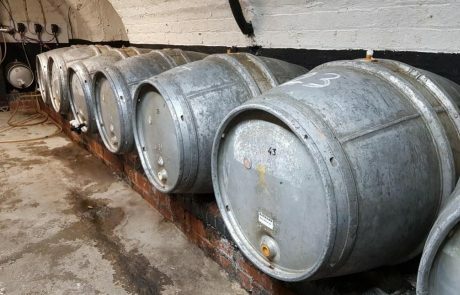 It is this cask-conditioning which continues to develop the flavour, character and maturity of real ale in the pub cellar until the cask is ready for use. 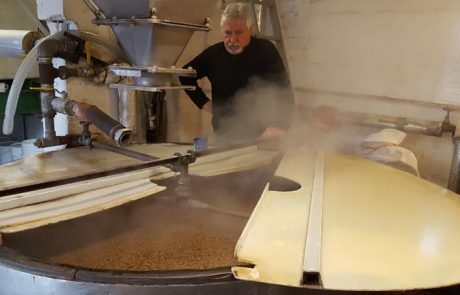 Brewing and keeping real ale is not as easy as keg beer or lager, but the quality of the product more than justifies the extra trouble. Good real ale not only has a superb flavour, and contains all the natural goodness of malt and hops, yeast and pure water. 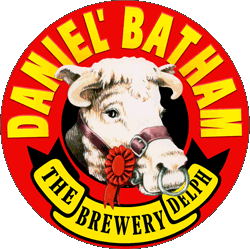 For more information on the brewing process and the different styles of beer see the CAMRA website.